Rising early, I feel like hell. Again. 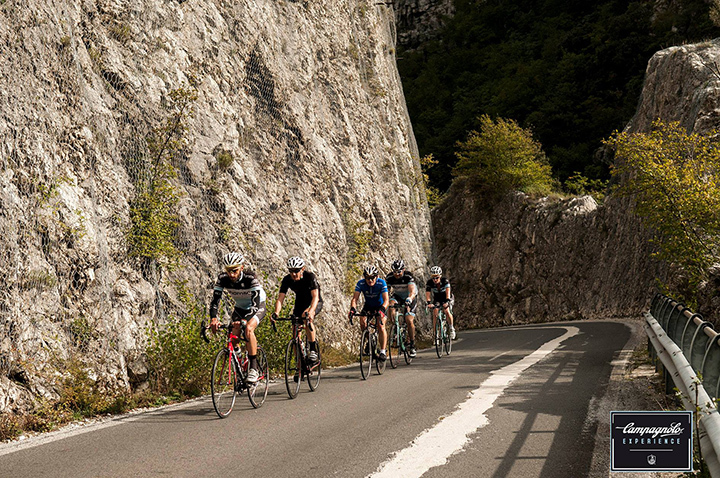 I am starting to get used to this sensation – part hangover, part ride fatigue, part jet lag. And I am always starving. During the day we are burning an impressive number of calories, and even eating constantly does not compensate. I know as soon as I eat something I will feel a bit better, but I am nervous about getting back on the bike again. Surely at some point my body will just refuse to do this anymore. But oddly, as soon as I get back on the saddle I feel great. Normal. 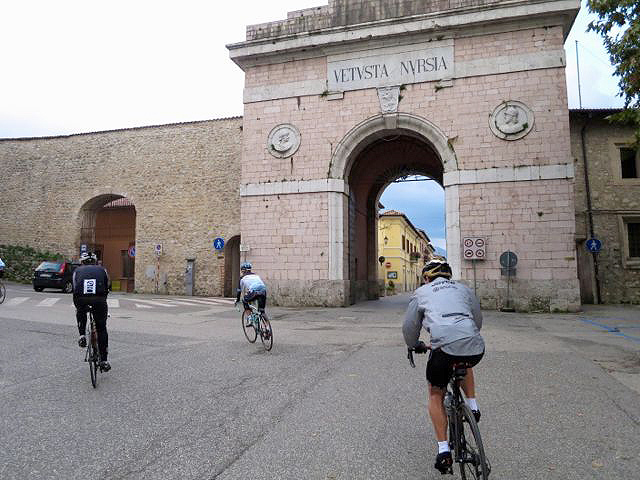 Today’s ride is another long one – 195km that will bring us deeper into the Apennines. 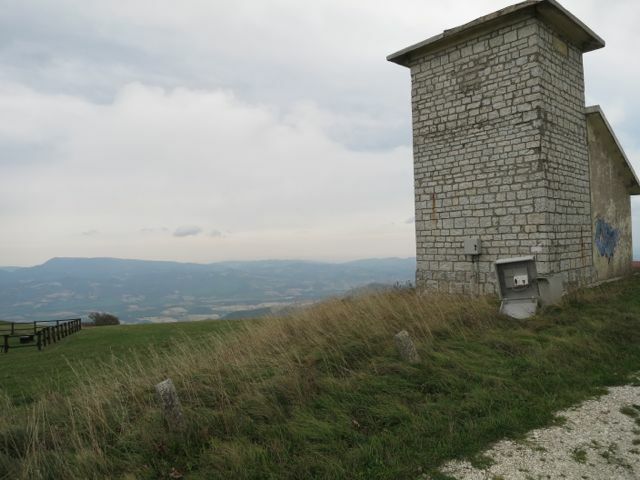 Our ride profile is a “sawtooth”, starting with a short, nasty climb, then into a series of ups and downs until we reach today’s highlight, Monte Petrona. 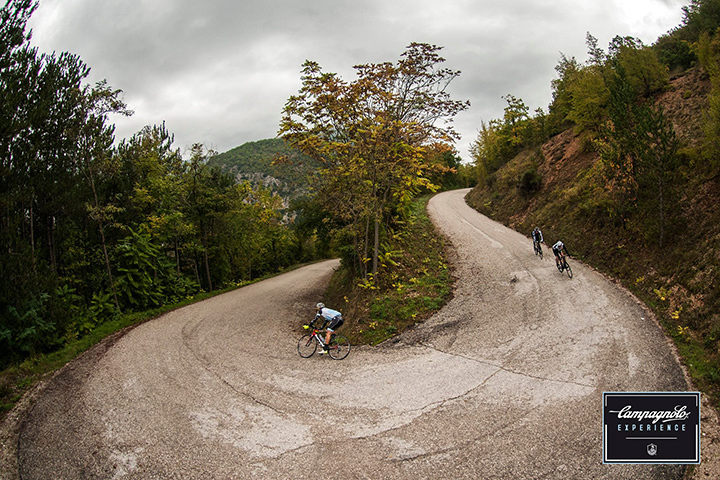 Sergi is very excited about this one because of the white gravel road, or “strade bianchi” on the climbing side, and picturesque switchback descent. I try, truly, to share his enthusiasm, while trying equally hard not to think about the 9,678 feet of climbing we will do today. I have a strange coping mechanism when I am climbing hard – as I grind away, trying not to judge how much further I have to go, I count my pedal strokes. I guess it’s just enough of a distraction to get me to the top. I wonder how many pedal strokes are in 9,678 feet. I guess I’ll find out.The ups and downs are not so bad. We spread out, as some of us are better at going up and some are better at going down, but we always regroup at the “Super Ban”. 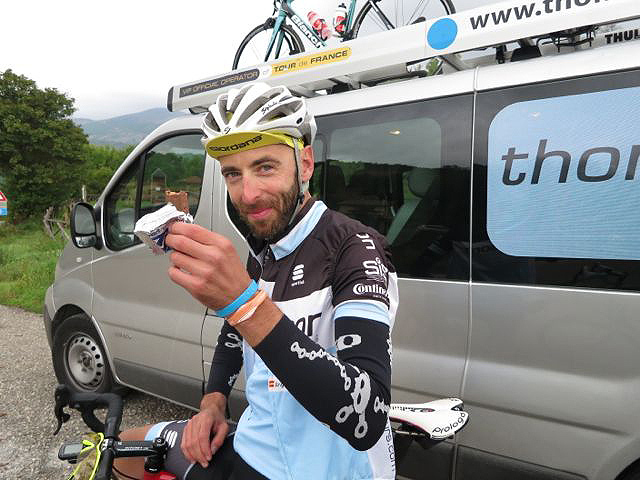 On the first day during our tour briefing, Sergi told us all about the “Super Ban” – a wonderful place where we would find food, clothing, shelter, and mechanical help. Sergi speaks excellent English, but with a heavy Spanish accent, so it was halfway through the meeting that I realized he was saying “support van”. I have come to enjoy passing through these little remote towns, and the townspeople are warm and welcoming, if a bit curious. One thing that each town shares is a guard of watchful old men, who sit in cafes and trattorias watching the comings and goings around them. It’s like they are waiting for something really exciting to come into town, and always seem mildly disappointed when all that turns up is a bunch of skinny foreigners in lycra. Monte Petrano does not disappoint. 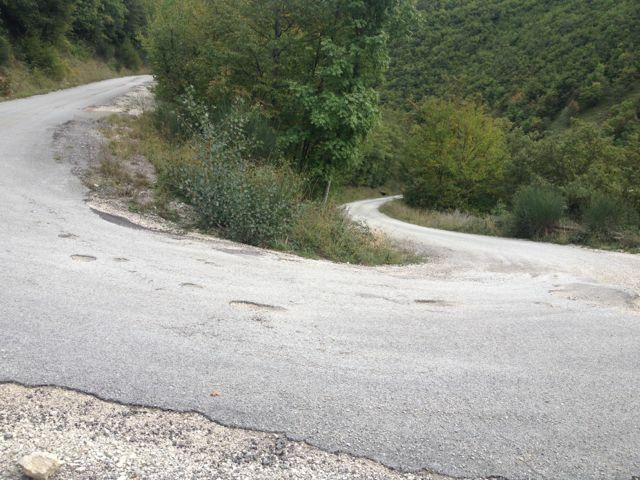 Like most climbs here, you turn a corner and suddenly you are going up. 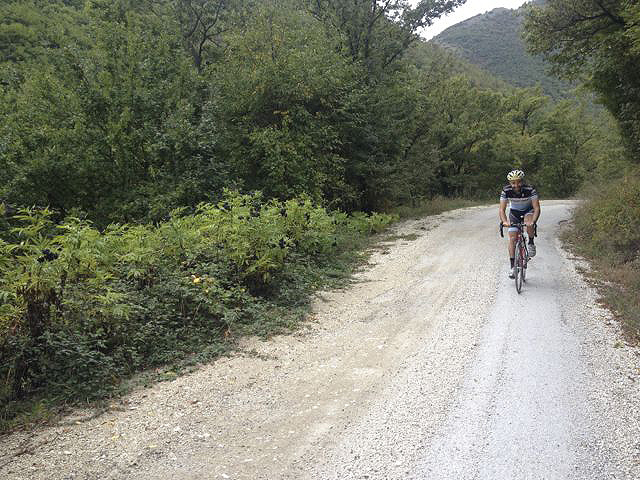 It starts off paved, which is a blessing, then soon turns to the legendary white gravel. 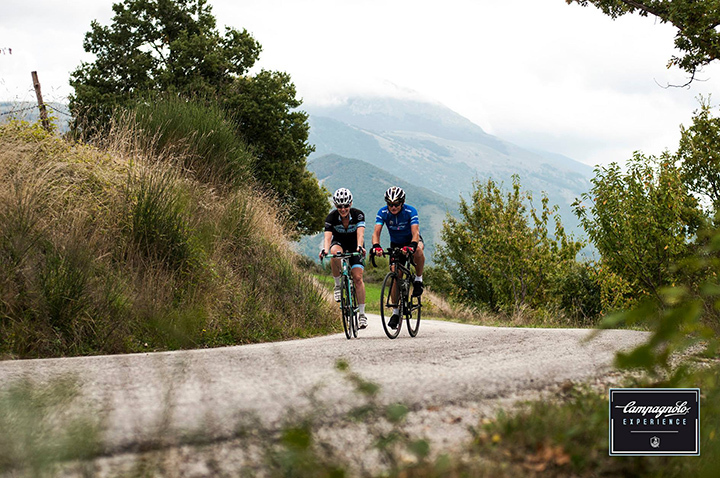 Of course this is not the strade bianchi – the real one is in Tuscany, but it is just as pretty, and likely just as punishing. I thank goodness for our gravel grinders back home, in particular the one in the Pembina Valley where we faced similar conditions, albeit with a slightly more Mennonite flavour. There are no mountains anywhere near Winnipeg, but you can drive three hours to the bottom of a valley and climb your way out – which is sort of the same thing. Not really. At times it is so steep I am forced to stand on the pedals, which then makes the back wheel slide out if I’m not careful. I am too tired to be careful. In my head, I try to imagine myself as tiny, graceful Spanish climber – like Contador, but more well liked. And I count my pedal strokes, which are plentiful. Along the way, I meet Joe, one of the Aussies. Joe is a frame builder and refurbisher back in Brisbane. He reminds me a lot of Ben back home, both physically and by the effortless way he goes uphill. Jerk. 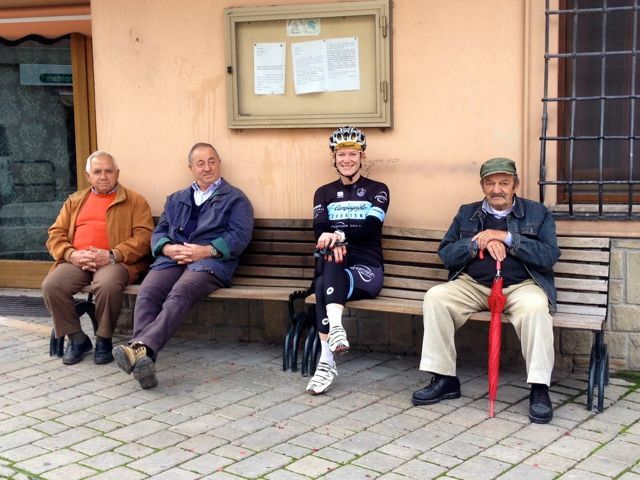 I also ride for a spell with Jordi, one of today’s ride leaders. Both of these gentlemen are clearly impressed by how I climb with the grace and agility of a Spanish pro. Yes. Clearly. The top is another world. Cold and damp, it feels more like Scotland than Italy. I’m pretty sure I could see Canada from up here, if I’d had any idea which direction it was. I am always overheated from the effort when I reach the top of these climbs, like I could shed every piece of clothing and still spontaneously combust. But in about thirty seconds, when my body starts to cool down, I am freezing and worried about how I can possibly navigate a steep and treacherous descent with frozen eyeballs and no feeling in my hands. 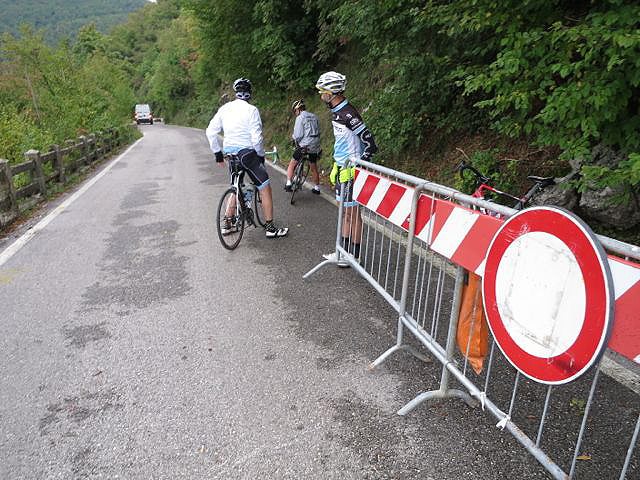 At the top, Sergi informed us there had been a landslide on the road we are taking down, but that it is not a problem. After all, this is not just any tour. This is a Thomson tour. 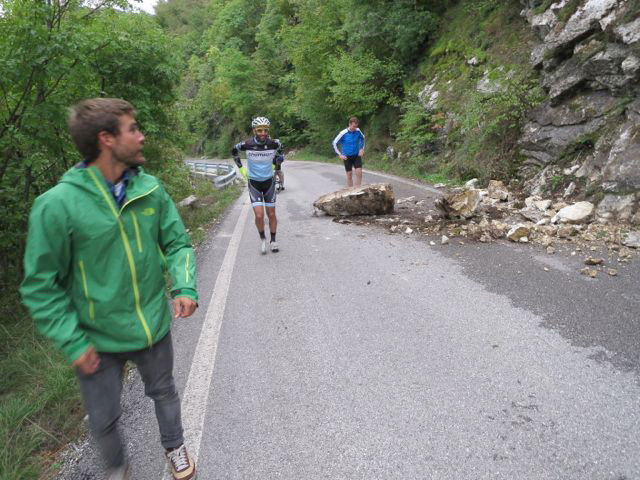 We move the barricades and a wayward boulder for the van to get through, and ride around the rocks. No problem. When we get to the bottom, it is starting to rain and getting dark. We still have 30km to go. Todd – our strongest rider – wants to continue, and Jordi is going to go with him. And if you know me, you know that if someone else is going to ride, I’m going to ride. But we are losing light and I’m afraid I will slow them down and we will be riding in the dark. Thankfully it starts to pour and they change their minds. We ride the final 30km to the hotel in the van. It was another epic day. The daily routine ends as it has everyday – shower, dinner at eight, in bed by ten. The new normal. Amen. Wonderful stories and beautiful pictures. Still really really jealous. The smiles on you face truly tell a story all on there own. I notice those Italian dudes are smart enough to keep their distance from those Winnipeg hussies even when they invade their bench. Great story and pics! If it helps, when we do long open water swims, we count our strokes as well. Wonderful adventure, great stories. Thanks so much for sharing. Love. These. Posts. Funny about the waking up feeling like hell: I just met someone who had gone on a yoga retreat with a group from here in MN (so, American yogis, American yoga teacher; Italian hosts). 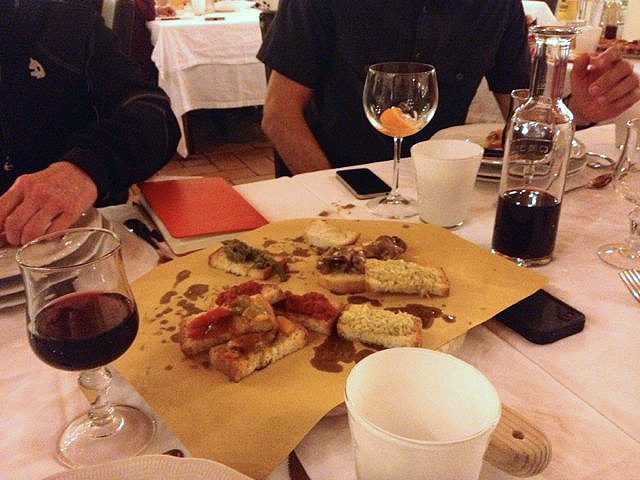 They’d stay up late, eating at the normal Italian hour (finishing up way past midnight), then get up godawfully early for yoga. It sounded like cruel and unusual punishment. Ah well … you can sleep when you’re dead. My vote would be for mid-afternoon pre-vino asana. Maybe you need more grappa? Again… thank you for sharing!